[xLimitsOut,yLimitsOut] = outputLimits(tform,xLimitsIn,yLimitsIn) estimates the output spatial limits corresponding to a set of input spatial limits, xLimitsIn and yLimitsIn, given 2-D geometric transformation tform. [xLimitsOut,yLimitsOut,zLimitsOut] = outputLimits(tform,xLimitsIn,yLimitsIn,zLimitsIn) estimates the output spatial limits, given 3-D geometric transformation tform. Create an affine2d object that defines a rotation of 10 degrees counter-clockwise. Estimate the output spatial limits, given the geometric transformation. 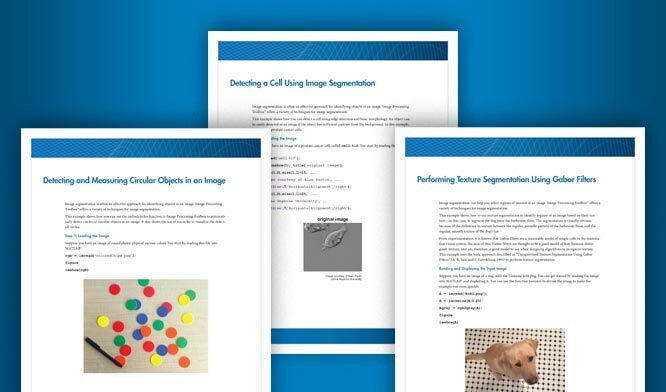 Create an affine3d object that defines a different scale factor in each dimension. Geometric transformation, specified as a geometric transformation object. For 2-D geometric transformations, tform is an affine2d, projective2d, LocalWeightedMeanTransformation2D, PiecewiseLinearTransformation2D, or PolynomialTransformation2D geometric transformation object. For 3-D geometric transformations, tform is an affine3d object. Input spatial limits in the x-dimension, specified as a 1-by-2 numeric vector. Input spatial limits in the y-dimension, specified as a 1-by-2 numeric vector. Input spatial limits in the z-dimension, specified as a 1-by-2 numeric vector. Provide zLimitsIn only when tform is an affine3d object. Output spatial limits in the x-dimension, returned as a 1-by-2 numeric vector. Output spatial limits in the y-dimension, returned as a 1-by-2 numeric vector. Output spatial limits in the z-dimension, returned as a 1-by-2 numeric vector. outputLimits returns zLimitsIn only when tform is an affine3d object.